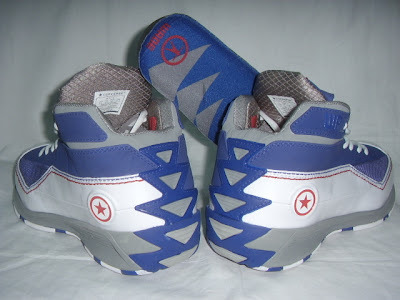 The Converse Blog: The Converse Blog: Wade 3.0 All Star & China Exclusive? The Converse Blog: Wade 3.0 All Star & China Exclusive? Happy Merry Day after Christmas..day! 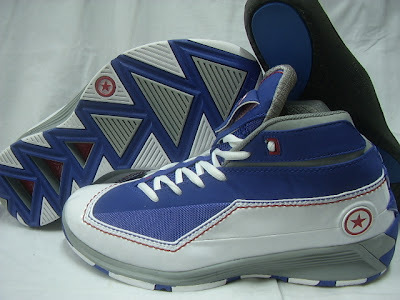 I've got a scoop for you today, I have pictures of what appear to be the All Star Colorway of the Wade 3.0. Yesterday we saw D-Wade rocking his Christmas day shoes, which unlike previously shown were red/black/silver and not the neon green/black/silver. I am not sure what happened, although I never saw anything from Converse naming the Neon's the Christmas day shoe. So I am working on getting some pics, but today is about the All Star game shoes. I found them in a message board here. I am not sure that these will be the All Star colorway, it is only a guess at this point. 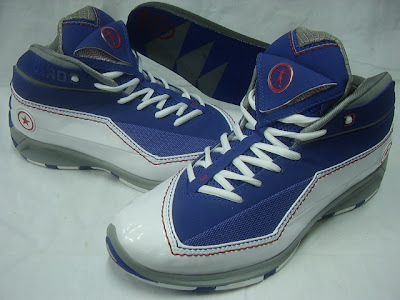 I was also able to find a picture of what appears to be a China Exclusive colorway. Well that's all for today, enjoy returning gifts and getting great deals for next year. Thanks for stopping by here at the Converse Blog.